With the implementation date less than a year away—and unlikely to be pushed back again—radiology practices can no longer put off planning and preparing for ICD-10. Radiologists must address ICD-10 myths, documentation challenges, and the impact of clinical denials now as they prepare for these changes. It’s a management challenge as well as a billing and coding task. 1. Coder productivity will not be impacted beyond an initial learning phase. Some industry experts estimate a 17% to 22% permanent decline in coder productivity; Zotec-MMP expects a 17% permanent decline after an initial 50% decline with an experienced coder who received on-site training. Radiologists cannot count on coders without appropriate clinical training to adapt to new codes after a brief learning phase. 2. Payers will not create edits that deny or reject claims for an unspecified diagnosis. On the contrary, payers already are instructing providers that unspecified codes may be problematic, and that the highest degree of specificity will be expected. EHRs that contain dozens or hundreds of picklists for ICD-10 could significantly slow down care providers. 3. Technology will solve the issues of a fivefold increase in diagnosis codes. Technology may assist in the process, but there is a lack of information from vendors regarding how EMRs will assist in ICD-10 coding. They will be used as a tool but are far from a total solution. Technology, for instance, can assist in revenue cycle denials management from the back end. The Centers for Medicare & Medicaid Services (CMS) general equivalency mapping may be helpful in providing general diagnosis info from ICD-9 to ICD-10 but is not intended to code ICD-10. As an example, this resource can direct coders to the proper zip code but cannot provide coders with the home address needed for ICD-10. 4. Our radiology practice does not need to budget for ICD-10. There is a broad range of industry estimates regarding the cost of ICD-10 implementation. Who will absorb the cost of reprogramming, coding productivity declines, and training costs? If a radiology group works with a revenue cycle management provider, there is a great possibility that many of these costs will be handled, but there are still costs that providers should anticipate. The potential for short-term cash flow disruptions is real, especially when groups consider increased claim denials from payers less inclined to accept unspecified codes as well as reduced productivity from increased documentation. Because ICD-10 is more specific, it will require more time to provide documentation, thus reducing productivity, at least in the short term. Medicare has announced that it will not perform end-to-end testing with providers and ICD-10 clearinghouses. Just as the industry experienced cash flow disruptions with the change to the ANSI 5010 claim format, the potential exists for short-term cash disruptions with the change to ICD-10. There is no way to predict the amount of the impact, but to suggest that no budget is needed in preparation of the change is unrealistic. 5. Radiologists do not need to be involved and/or reeducated regarding patient care documentation and the extent of clinical descriptions. Education will be critical because of the degree of specificity, laterality and location, and mode or method of injury required by ICD-10. The CMS Office of the Inspector General found 43.7% of errors were due to lack of documentation, and a pilot study estimated $956 million in improper payments in 2010. The work for radiologists will be substantial. For everything ranging from the problems with how EMR systems will handle the increased volume of diagnosis and required documentation points to complete redesign of superbills and/or orders to the substantial increase in radiology-specificity documentation of clinical diagnoses, radiologists have much work to do. The bottom line for physicians is that the impact of clinical denials will depend on the quality of clinical indications documented at the time of service. The need for clinical specificity will be more essential with the implementation of ICD-10. Payers may be less inclined to accept unspecified or other codes when there is an abundance of information available on the ICD-10 codes. 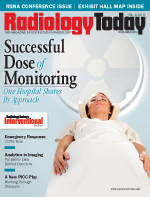 With the implementation of EMRs, the question is raised: Does your radiology practice have access to that information? The time for physicians to prepare for ICD-10 is now. — Harry Purcell is an operations manager with Zotec-MMP.